From an economic perspective, the core challenge of climate change is that the standard way of doing things — the dirty, carbon-intensive way — is typically cheaper than newer, lower-carbon alternatives. Solving the problem means driving down the cost of those alternatives. Simple, right? But in practice, it’s not so simple. In fact, we still don’t have a very good grasp on exactly what drives technological innovation and improvement. Is it basic scientific research? Early-stage R&D? Learning by doing? Economies of scale? If we want to make clean technologies cheaper, we need a better understanding of how the process works. Among other things, Silicon Valley types are spending billions on “moonshot” startup initiatives — it would be nice if that money were spent effectively. There is a voluminous academic literature on these subjects, but a new paper in the journal Energy Policy helps to cut through the fog. It focuses on one specific technology and seeks to identify, and quantify, the various forces that drove down costs. That technology: good old solar photovoltaic (PV) panels, which have declined in cost by around 99 percent over recent decades. Good stock photo, or the best stock photo? The authors are MIT associate professor Jessika Trancik, postdoc Goksin Kavlak, and research scientist James McNerney. 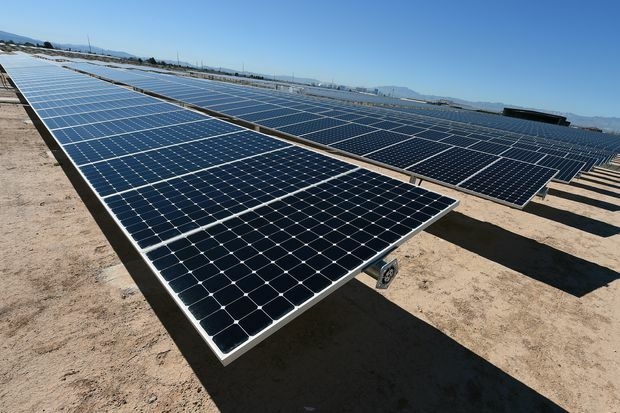 They are part of a team that, working with the Department of Energy’s Solar Energy Evolution and Diffusion Studies (SEEDS) program, is attempting to develop an overarching theory of technology innovation, using solar PV as its focus. “Evaluating the Causes of Photovoltaics Cost Reduction” lays out the results — what caused PV costs to decline so fast, and when. The details are worth examining, but the big lesson is pretty simple: It didn’t just happen. It was driven, at every stage, by smart public policy. First, by way of background, it’s important to wrap your head around the remarkable evolution of solar PV. 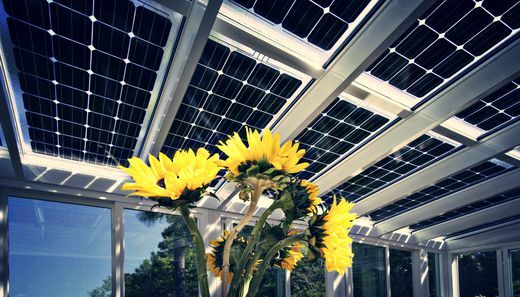 Again, solar module costs have dropped by around 99 percent over the past 40 years. Suffice to say, those declines have continued since 2015, and market experts expect them to accelerate for the foreseeable future. Solar PV has defied all projections, continuing to get cheaper and deploy faster — even as experts predict, again and again, that it will level off. This headlong decline in costs is a baffling and amazing phenomenon. It demands explanation. 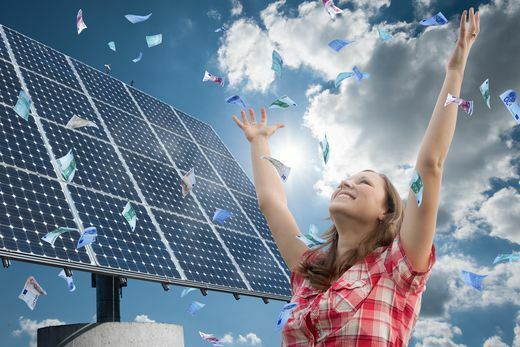 There have been many studies on the subject, of course, but most have relied on “correlational analysis,” tying the drop in PV costs to other ongoing trends. For instance, it is popular to point out, based in part on this paper, that PV costs drop by about 20 percent for every doubling of cumulative capacity (the two trends correlate). There are also device-level studies that examine the components of PV systems, and their contribution to costs, at a snapshot in time. “Missing from these studies,” the team at MIT writes, “is a method of accurately quantifying how each change to a feature of the technology or manufacturing process contributes to cost reductions, when many changes occur simultaneously.” That’s what the team has attempted to create — a dynamic model that can distinguish and quantify the component causes of price declines over time. The idea is to bridge bottom-up and top-down approaches to understanding technology evolution. There’s a long explanation of the modeling methodology, replete with equations, in the paper, if you’re into that sort of thing. 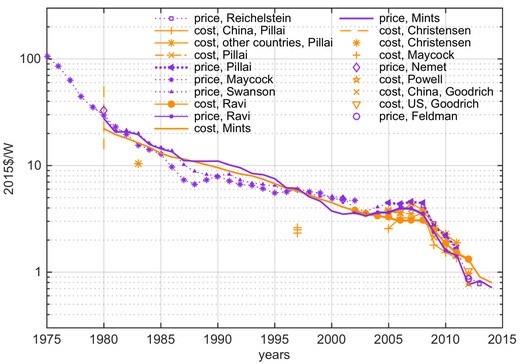 The team looked at global PV costs from 1980 to 2012, breaking out the various drivers. In their results, first they examine the role of low-level mechanisms; then they tie those to high-level mechanisms. A quick glance at the chart reveals the shape of the results. In the early years of the PV industry, gains were spread out fairly evenly over several low-level mechanisms, led by module efficiency (24 percent) and declines in the costs of both non-silicon (22 percent) and silicon (18 percent) panel components. In other words, early improvements were mostly concentrated at the device level, in the basic science and engineering of panels. In the more recent period of the industry’s evolution, the drivers shifted substantially. Efficiency, non-silicon, and silicon costs dropped to 12, 15, and 3 percent contributions, respectively. And one driver leaped out ahead of all the others: plant size. Solar PV became big business; with bulk manufacturing in big plants came rapid cost declines. This serves as a more abstract representation of the same dynamics in the first chart. In PV’s early years, device-level R&D played a dominant role in driving costs down. People spent time and money making panels better. So what does all this tell us about policy? There are several interesting implications for policy embedded in these results. For instance, as mentioned, the causes of cost declines were fairly evenly spread out over low-level mechanisms in the early years. Components of the device-level supply chain, and engineering challenges, were many and varied. There were many directions from which to attack the problem. In an email, Trancik refers to this as “having many knobs to turn.” That allowed a diversity of simultaneous solutions. Perhaps the most interesting implications, though, have to do with the timing of policy. As clean energy policy expert Hal Harvey said in our recent interview, technologies travel a fairly predictable path down the learning curve, and different kinds of policies can push them along at different stages. 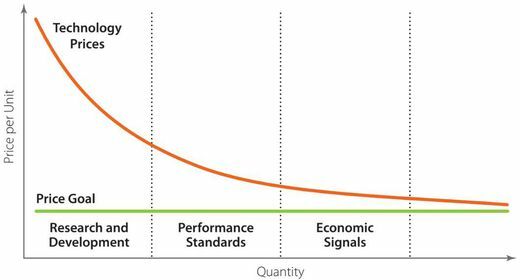 When things are working, as technologies get cheaper and closer to commercialization, R&D gives way to performance standards. And when the industry is mature, price signals (like a price on carbon) take over. To a first approximation, that’s what has happened with solar PV, except the market is still dominated by performance standards (like renewable energy mandates), while price signals (like carbon taxes and cap-and-trade programs) are having a little trouble getting revved up. Nonetheless, there are lessons here for other clean energy technologies we know we will need for decarbonization — like batteries, better electric cars, advanced nuclear reactors, hydrogen fuels, algae fuels, microgrids, carbon removal, and all the rest. It is possible to target public policy toward a technology based on its position on the learning curve and consciously accelerate its development. For some technologies in the early stages, like algae, that will primarily mean R&D. For something like solar PV, an industry that is up and running, future cost declines are most likely to be found in a balance of accelerated deployment (continuing to drive down the costs of existing technology) and ongoing R&D (hedging against the possibility that existing technology could level off prematurely). “Bifacial PV,” i.e., solar panels with solar cells on both sides — one of many recent PV innovations. And finally, speaking of public policy, it’s worth noting the overall role of policy in PV’s development. The paper references two basic sorts of policies: first, publicly funded R&D, and second, “market-stimulating policies,” which create legal or economic incentives for private actors to research, develop, and invest in technologies. When people think about tech innovation, they tend to think about the former, about scientists and engineers in government labs. But it turns out to be the latter doing the bulk of the work. That’s worth repeating: policies that create incentives for private investors to develop and deploy solar panels are responsible for well over half of the decline in solar PV costs. Most of the rest is public R&D. Recently, there’s been a great deal of interest among wealthy Silicon Valley types in funding private R&D for clean energy tech. There is a quasi-libertarian pretense among that crowd that government is slow and inefficient. But this research shows that public policy can be incredibly effective in creating the market conditions in which individuals can innovate. The tech-entrepreneur galaxy brains behind various (laudable) clean energy investment schemes would do well to study it. The real lesson of solar PV is simple: We know how to make clean energy cheap. We’ve done it. We can do it again if we want.